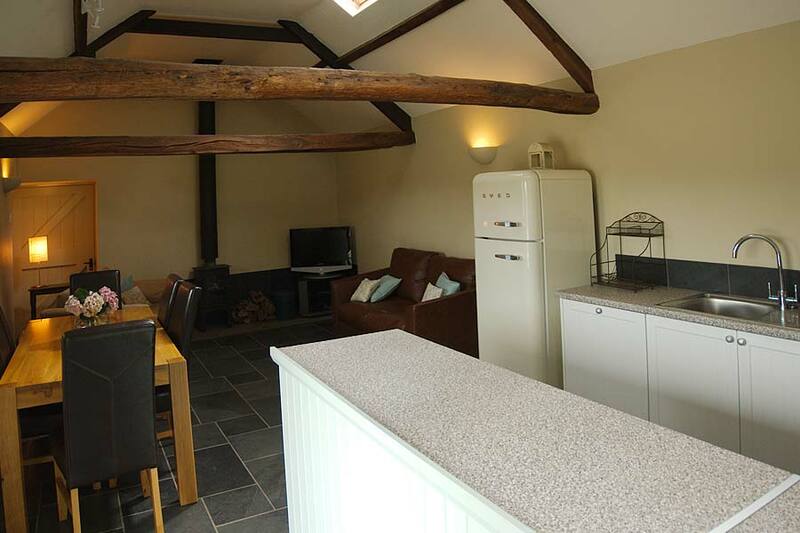 The Old Wash House is a luxurious stone barn full of character in Trecastle, Powys. The Old Wash House is a luxurious stone barn which sleeps up to 6 people over 1 King-Size Room and 2 Twin-bedded Rooms. The Wash House is full of character with oak beams and a wood burning stove, and recently renovated to a very high specification. 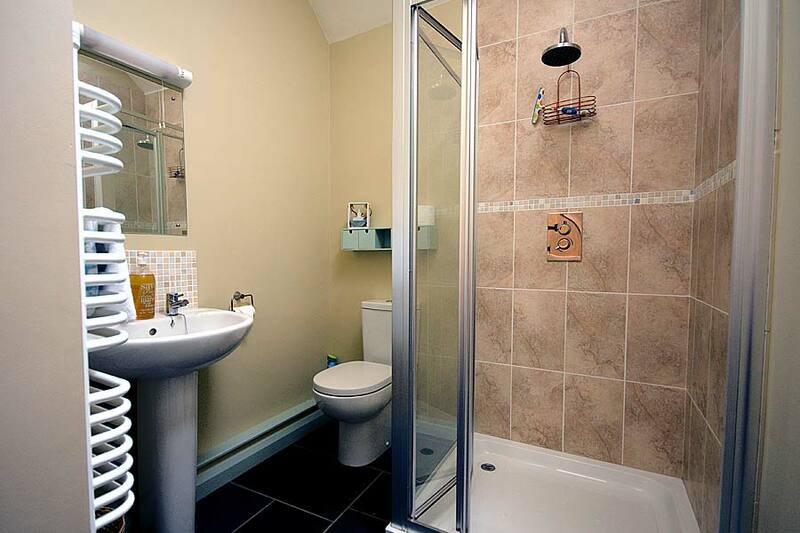 With a bedroom and bathrooms on the ground floor – so also great for visitors with mobility problems. The Wash House features 2 twin rooms along with a King-sized master bedroom with pretty wooden wardrobes and a small dressing table and stool. The barn boasts a seperate Shower Room and bathroom featuring a double size shower, bath with shower over, hand-basin and toilet. An oak dining table with high back leather chairs, sofas and chairs set around a contemporary wood burning stove, TV and Freeview and DVD player. It's no accident that we have repeated bookings year after year and have built a reputation for having one of the best cottages in Wales. 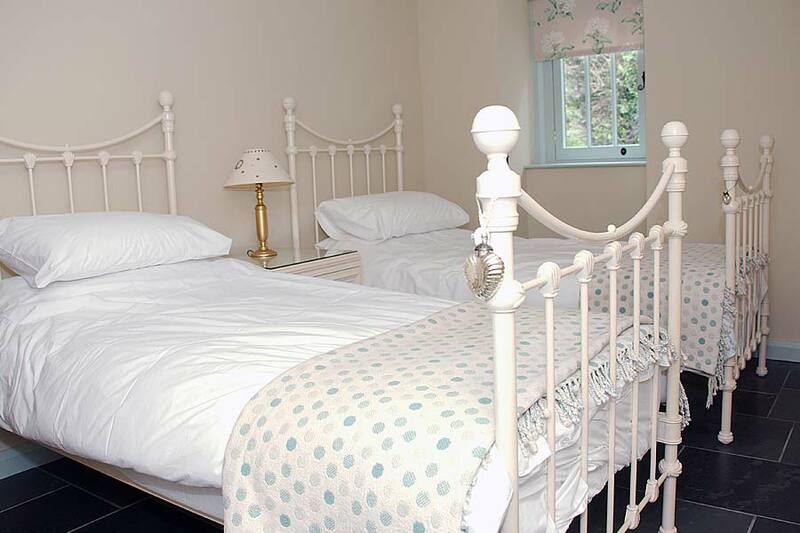 A traditional bunkhouse in Trecastle, Powys - Perfect for group getaways! The old stone and oak beamed cow shed has been converted into welcoming accommodation for up to 14 people in three bedrooms, pillow and pillowcases along with a base sheet is provided, with three individual shower/toilet rooms providing plenty of hot water, shaving and hair drying facilities after a long day exploring this wonderfully interesting area.